Toop&Toop Blog: All eyes on Adelaide. With the recent rate cuts, the property market is a popular topic of conversation as everyone is trying to gauge where the economy is sitting. There is plenty of negative media talk about Adelaide's economy right now, but let's take a look at the facts. Fact: Investor activity is at an all-time national high. The property market ran hot throughout the Christmas/New Year period and we are yet to see it step down a gear. Investors are out in full force and it is taking home buyers longer to find the right property due to the increased competition. So what are the experts reporting? Looking through Core Logic's latest market information, it is interesting to see the stats come through for 2015 which clearly shows what investors, agents and buyers have been feeling in the market. A staggering piece of information that stood out in this report is that investors have reached their highest value and proportion of loan commitments on record. Currently, loans to investors make up $11.7 billion which is just under half the value of all loans. With data spanning back to 1994, this means nationally we are experiencing more investor activity than we have seen in 20 years. Investors are out in full force across the nation which risks pricing first time buyers out of the market. Chatting to my Melbourne contacts, there is an emerging trend of young professionals living interstate now turning their attention to better priced markets. They are looking to buy their first investment here in Adelaide 'just to get into the property market'. This means they are happy to rent their own home in Melbourne, as they can afford to get what they are after... the right suburb, and a big home. The twist is that they are now considering buying an investment property here in Adelaide. Their logic is to ultimately be able to realise the equity in their Adelaide property in a few years' time to enable them to buy something in their home state. Essentially, in this way buying counter cyclic is recognising the potential Adelaide currently offers investors... and I can see why! With a median house price of $430,000, Adelaide is now the most affordable mainland capital city. Melbourne sits at $613,000 and Sydney at $850,000 so it's little wonder first time interstate investors are looking elsewhere. 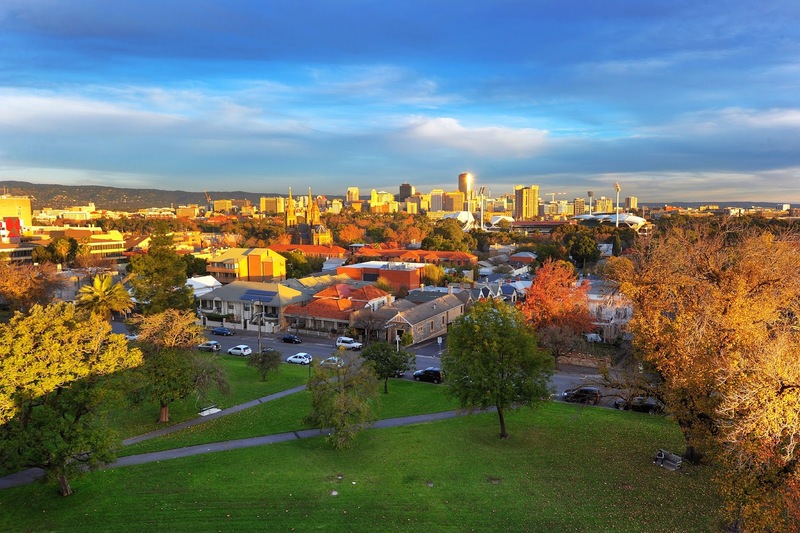 Although it's not just affordability – Adelaide is still to experience the upswing when analysing the stats. Adelaide's 12 month capital gain is 2.9% when our 10 year average is 3.7%. This suggests we are nowhere near the top of our cycle. Sydney on the other hand, has experienced a 13.8% increase in values in 12 months, where their 10 year growth average is 4.6%. That's an enormous amount of activity being generated in 12 months and experts are saying this level of growth cannot be sustained. So what are the rents doing in Adelaide? Unlike Melbourne and Sydney where new apartment buildings are popping up almost monthly, Adelaide has the lowest Annual Dwelling Approval of all major capital cities. Supply of new dwellings is now gaining pace interstate. Melbourne and Sydney have three to four times the number of new buildings coming through than Adelaide. The introduction of new supply on a large scale is likely to create downward pressure on rents as tenants have choice and are in a stronger bargaining position as landlords compete to attract tenants. More good news... Adelaide is outperforming Melbourne and Sydney in gross yields and speaking to Melbourne agents last weekend, they are feeling it. Swapping stories on how the market is tracking this year, they were genuinely shocked that tenants in Adelaide are offering above the asking price just to secure a rental property. And there is more... If the experts are right and we see another two rate cuts this year, there will be more stimulus to investor activity. Cash deposits represent such poor returns while property offers potential for reasonable rental return. Plus, in Adelaide in particular, it is reasonable to expect a strong capital gain period. We are therefore expecting to see an increase in interstate buying in Adelaide as these other markets become inaccessible. Adelaide is in their sights. We are geared up to help investors in South Australia run their properties, so be certain to call us. Investing in property is in everyone's sights, so let's work together!